Food & Court Reporting Collide With A Chopped Guacamole Challenge. 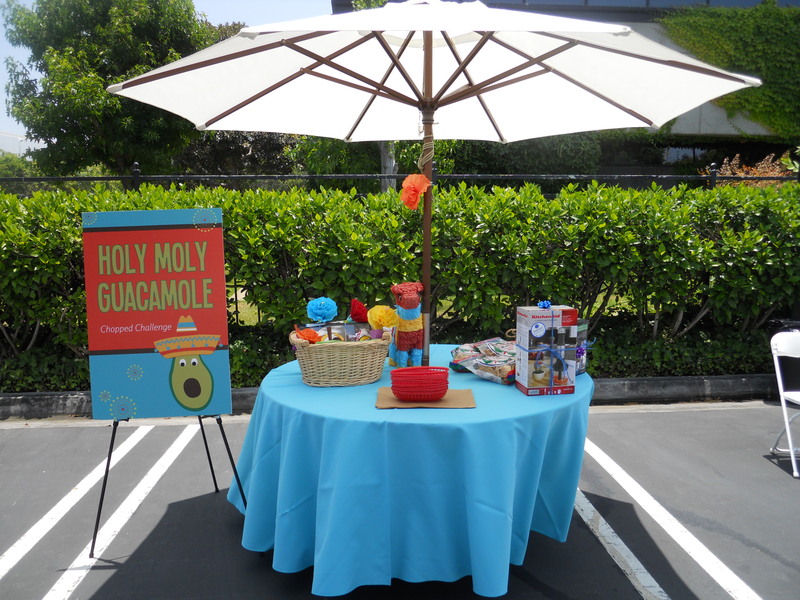 It’s a Holy Moly Guacamole Chopped Challenge — Ingredient options are on the table. 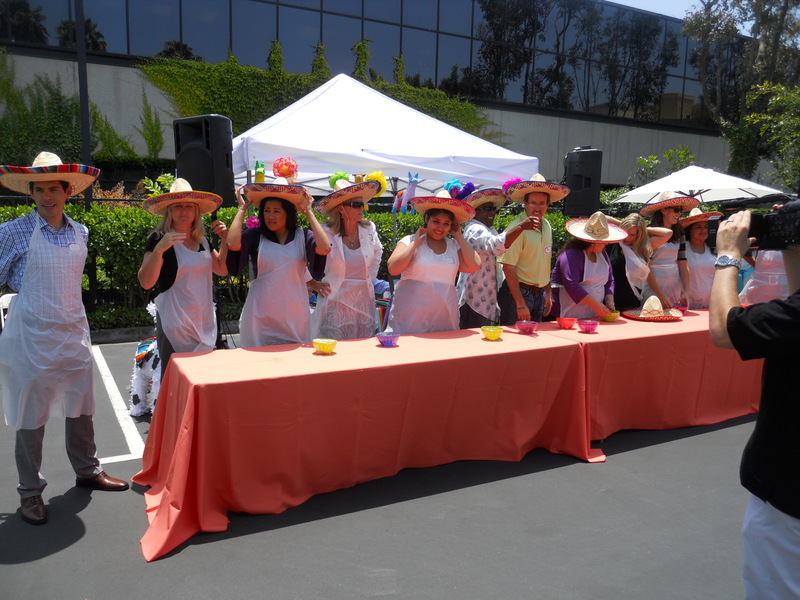 My food and legal worlds (again) collide at a Sarnoff, Veritext Company Fiesta. 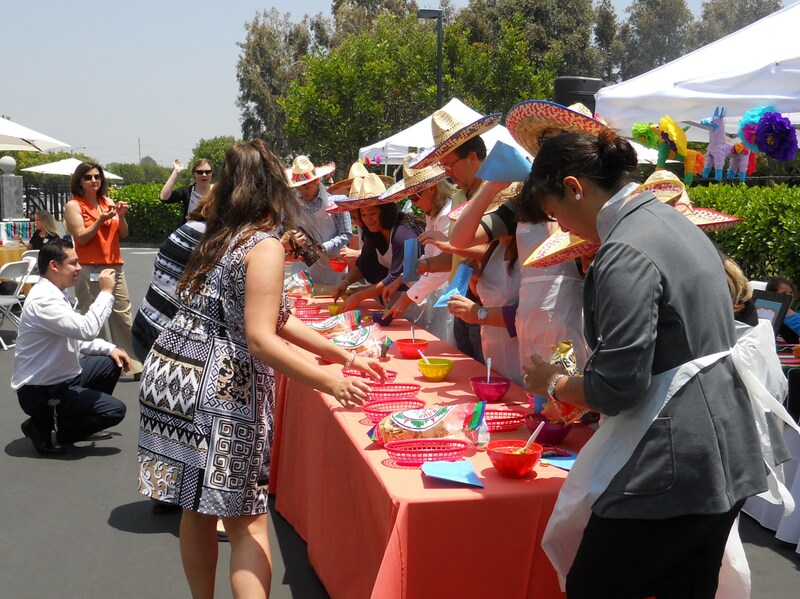 Sarnoff knows how to throw a party — Contestants (Lawyers, Paralegals & Secretaries) suit up in aprons and sombreros to make the Best Guacamole possible within 2 minutes. Go! Scrambling for choice ingredients — Limes, Cilantro, Onion, Chili Peppers, Hot Sauce, etc. Time is up — Bring your Guacamole to the table. 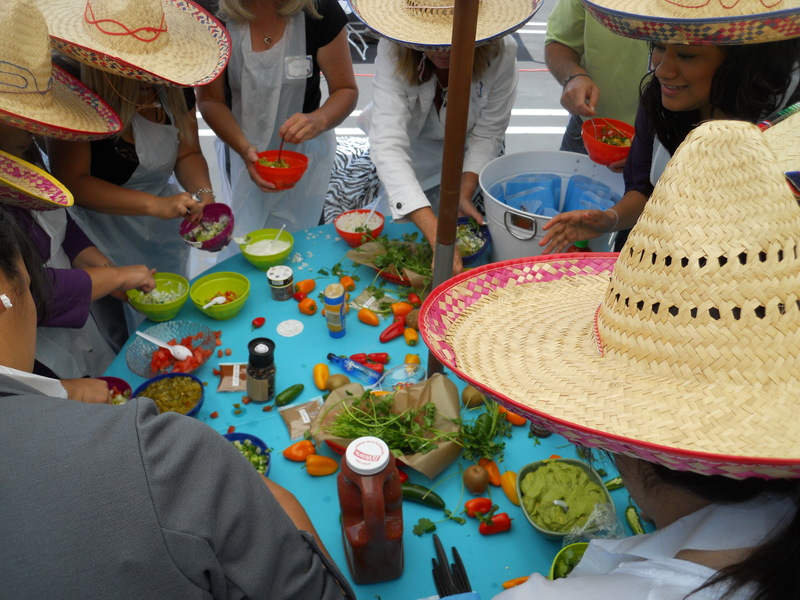 What would you put in your Guacamole? And what would you call it? 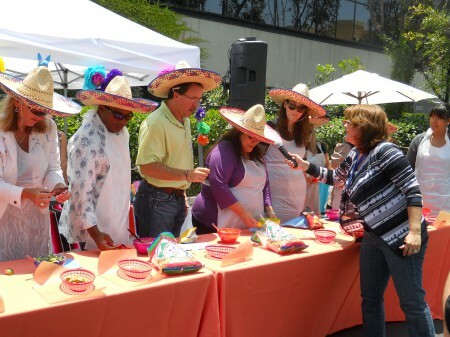 Contestants had to title their Guacamole and present it to the Judges. And the winner is… this guy (below). Congratulations. 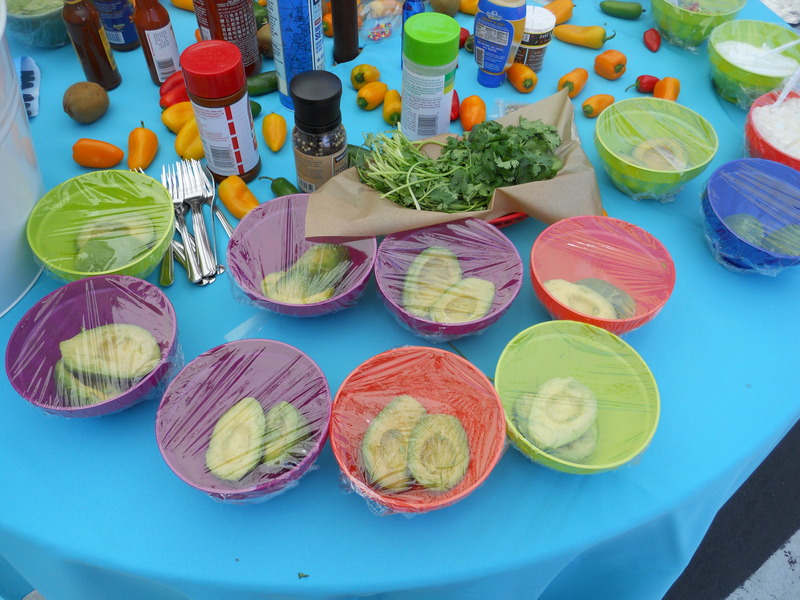 For extra caution, the Avocados were cut, halved and seeded pre-challenge. 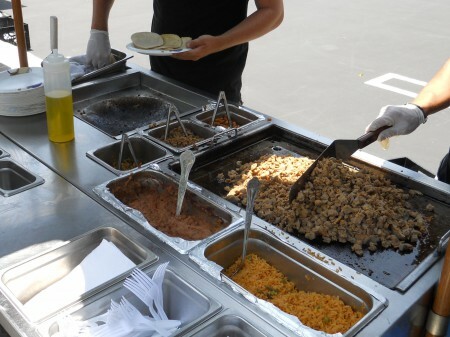 And they were just okay — Taco Cart and shirt names withheld. 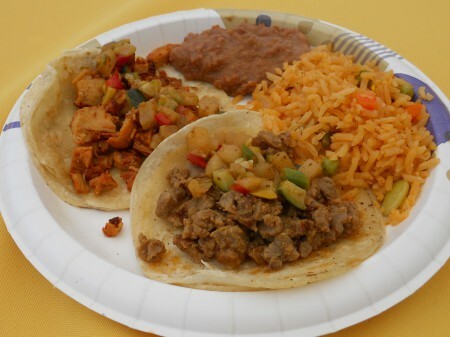 The Asada was too gristly. Endless Churros and Virgin Margaritas were there for the taking. A Chopped Challenge is a fun, interactive activity for an above average office party. The Contest To Win: Dave’s Million Dollar Sauce Contest. 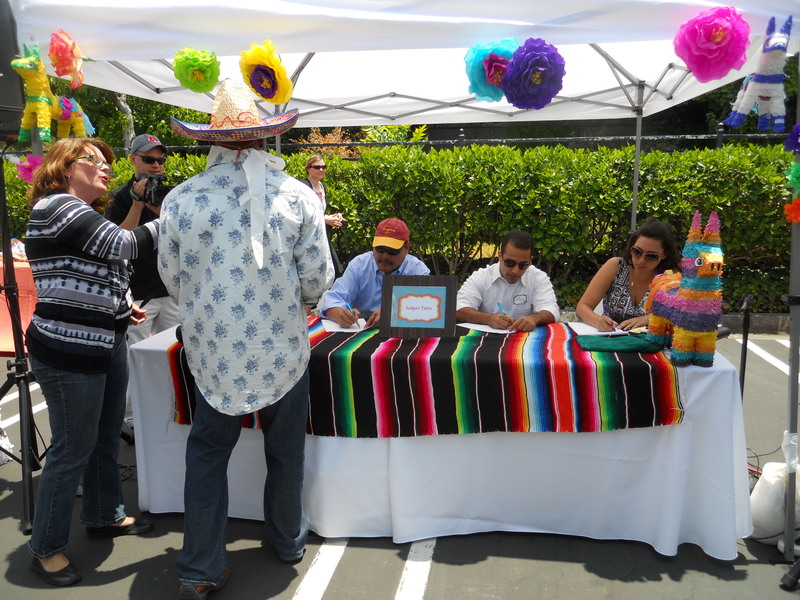 Dave’s Million Dollar Sauce Contest — The odds of winning are better than the lottery. 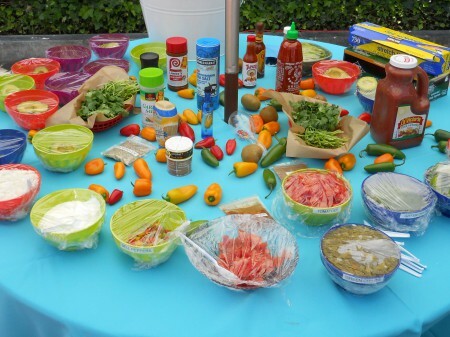 Do you have a special Sauce, Salsa, Dip or Spread that you make? Why not enter here for a chance to win a million?! Check out the rules and submit your recipe on or before December 31, 2011. Good luck! 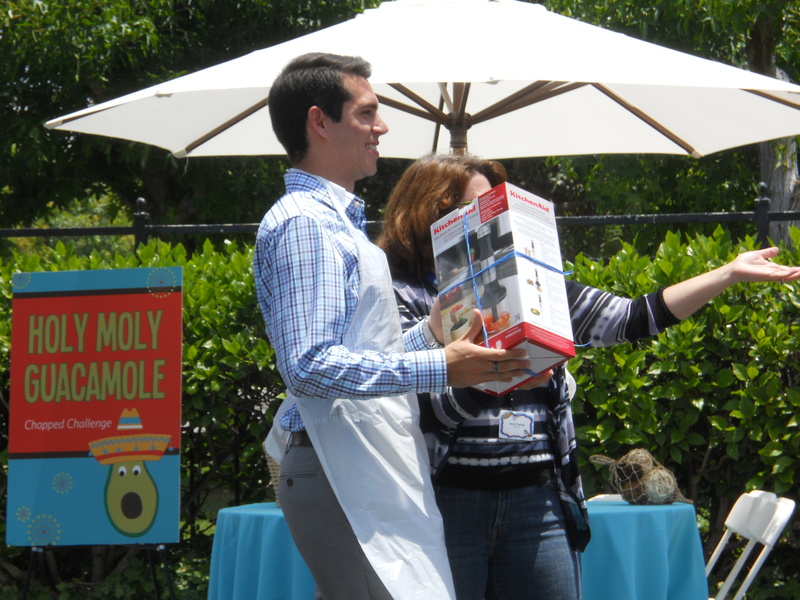 With such a prize, we’re contemplating a few saucy ideas too. Pictured is our favorite Cocktail Sauce first had in Amsterdam. 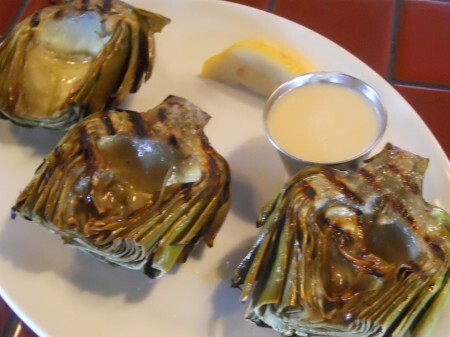 Will The Real Oak Grilled Artichoke Please Step Forward. 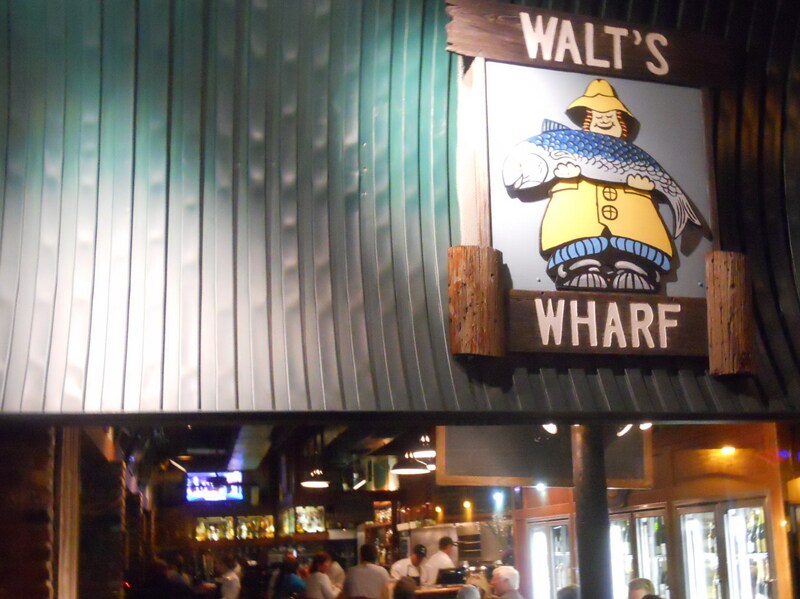 The previously reported about Oak Grilled Artichoke at Walt’s Wharf is pictured here. It’s the real deal. We love it and its Lea & Perrins Sauce sidekick, but do think my recent variation tasted better. How did that happen? Can’t touch their Artichoke though — It’s a tasty plate. 06/06/11 Update: I now know why my Lea & Perrins Sauce tasted better than Walt’s recent Sauce — They changed the recipe. The ingredients are the same, but the measurements are different for some reason. I prefer the original recipe, linked above. Mock Caesar Salad Dressing With Toasted Parmesan Cheese-Tons. 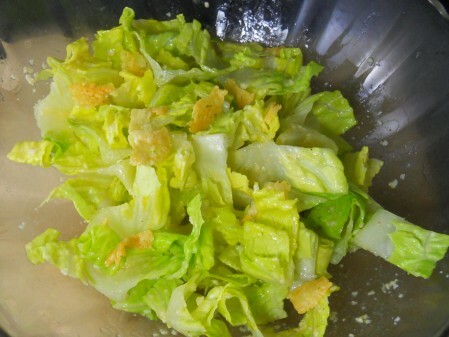 I love a well prepared Caesar Salad, but when it comes to making one at home, I don’t want to work with Anchovies or raw Eggs, if I don’t have to. 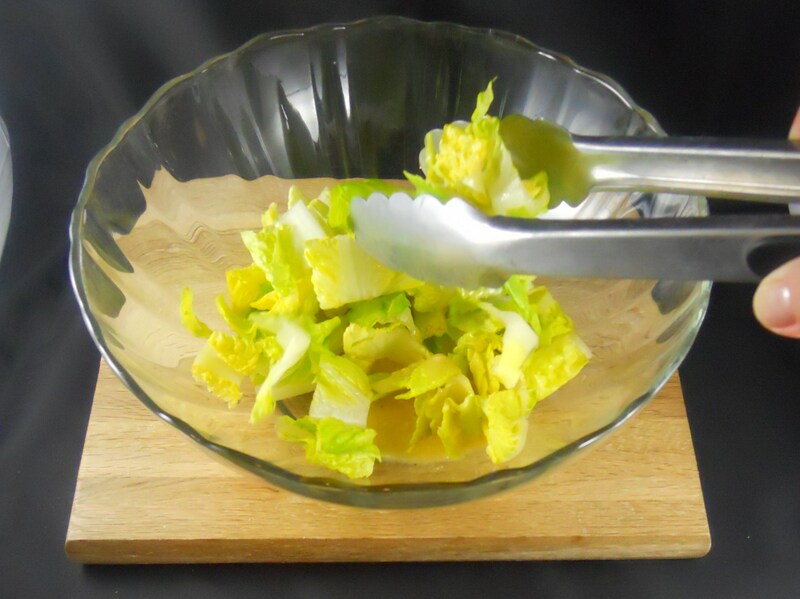 In search of simplicity and flavor, I found a Caesar Salad Dressing I’ll keep forever. It satisfies all criteria perfectly. No-Egg Caesar Dressing (Rachael Ray’s) – Just mix all ingredients in a blender & enjoy! 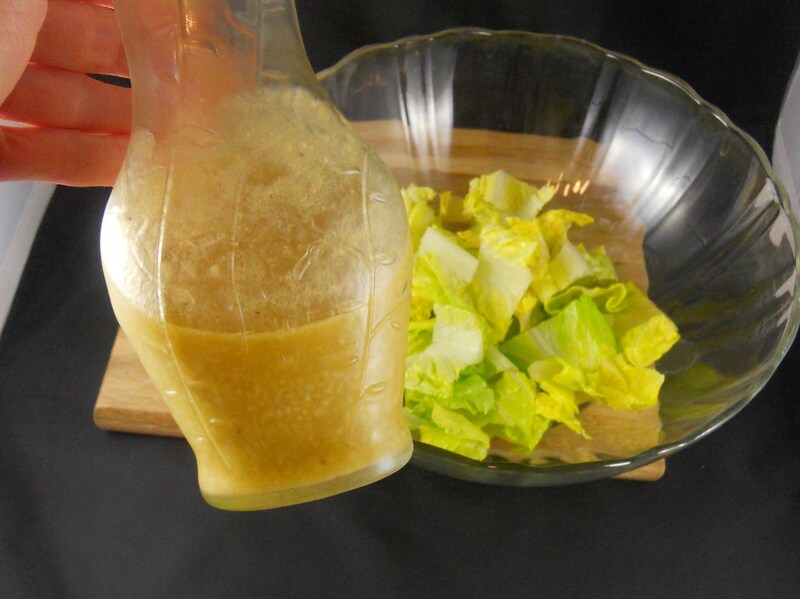 This Salad Dressing doesn’t lack for anything and can be tossed with any greens. Once the Salad Dressing is prepared, only two more ingredients make this Caesar amazing. 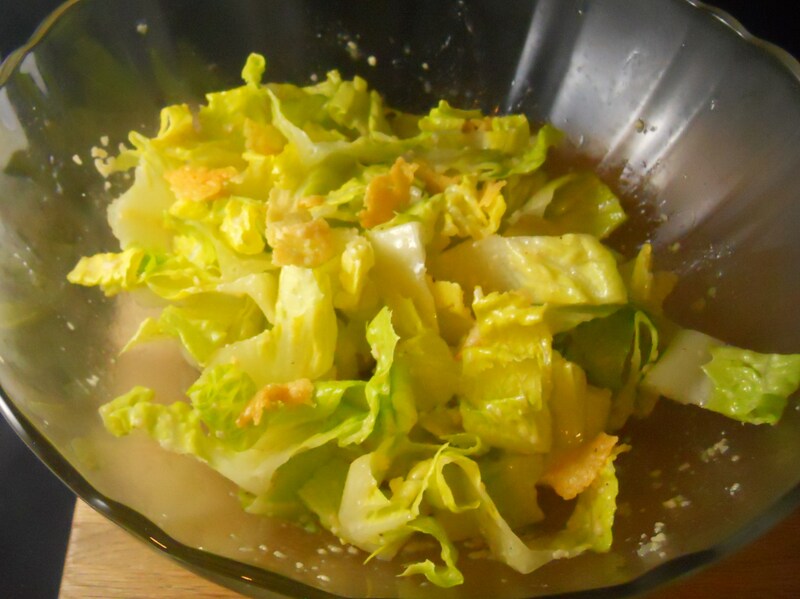 Toasted Parmesan Cheese sprinkled as Croutons put this homemade Caesar over the top. To prepare the Cheese-Tons, just add grated or shredded Parmesan to a dry skillet on medium. 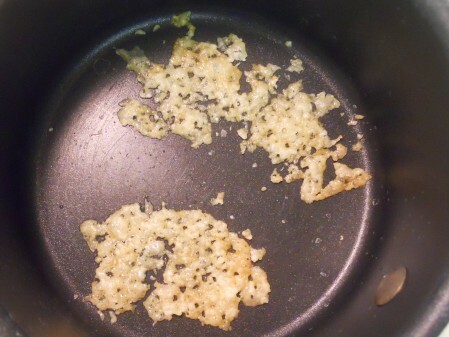 Heat until each Cheese consortium crackles and pops together, then remove from skillet to cool on a paper towel. Crumble over fresh Romaine tossed with this delicious mock Caesar Salad Dressing. It’s made in minutes and tastes like it’s from a restaurant. Cucumber Salad Dressing Prepared From A Leftover Vegetable Platter. 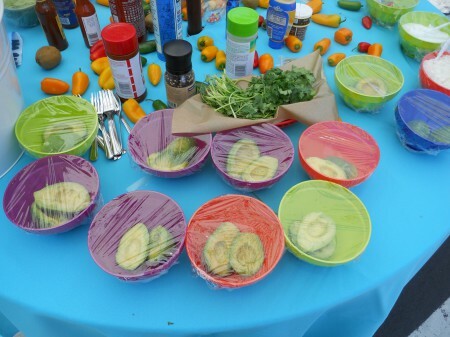 An abundance of sliced Cucumbers leftover from a Vegetable Platter inspired the preparation of homemade Cucumber Dressing. 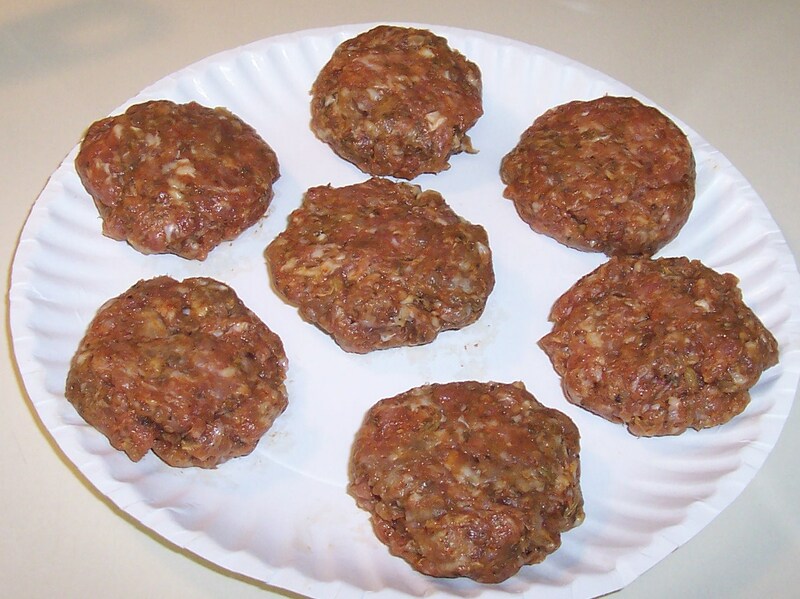 After searching for a recipe, I used a combination of most ingredients noted in the CD Kitchen recipes. 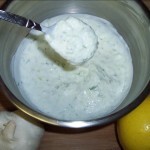 The pictured Cucumber Dressing includes Mayonnaise, Lemon Juice, Milk, Cucumbers, Dill, Green Onions, Garlic, Salt and Pepper. 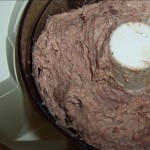 All was pureed together in a mini food processor. The flavor turned out good, but not as great as the Cucumber Dressing offered at Katella Deli, the taste I was shooting for. They serve the best I’ve currently tasted. We’ll post an exact recipe, once we fine tune it. Until then, this was an easy and fine start. 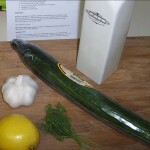 We didn’t have Sour Cream nor Buttermilk on-hand, thus those ingredients may make a better Cucumber Dressing next time. We’ll experiment and report back later. 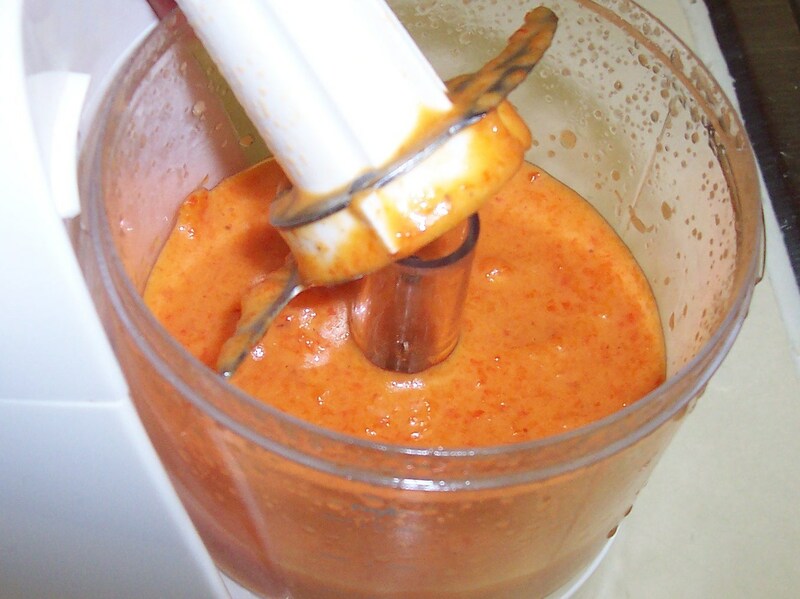 Easy, Fast & Tasty Roasted Red Pepper Sauce. 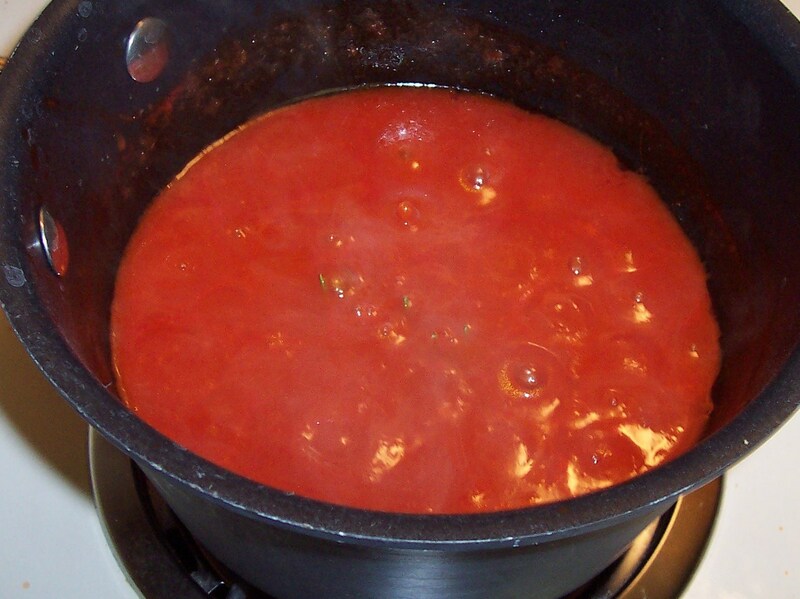 One Red Bell Pepper makes a fair amount of Roasted Red Pepper Sauce. 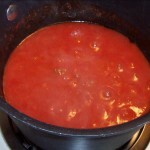 This Sauce is a variation of several recipes I reviewed online. And it turned out to be a simple and tasty combination. 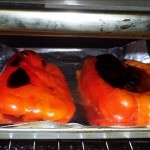 I halved and charred a Red Bell Pepper in the toaster oven until completely black, then with the oven off I kept it in there for another 15 minutes to steam/loosen the skin. And it peeled right off like nothing. 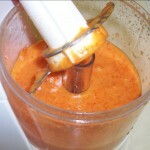 To make the Sauce, add the Roasted Red Pepper to a mini food processor with the perfect balance of Olive Oil, White Balsamic Vinegar, Lemon Juice and S&P — It doesn’t take much of each. 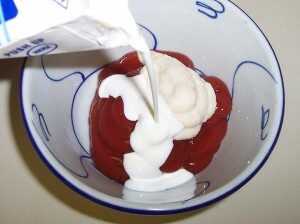 Puree all, then taste and add more of the above (if necessary) to dial in the flavor. This small batch was so good — I ate the extra Sauce as Gazpacho. 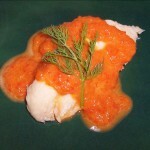 Before that, I had it on some Lingcod I poached. 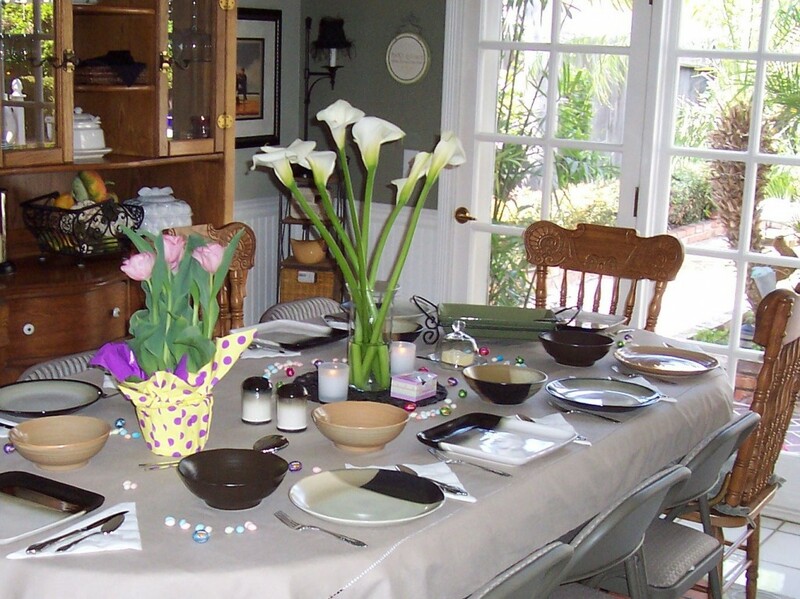 It’s A Glorious Day — Happy Easter! Let Us Eat. 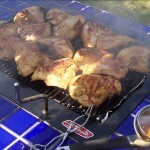 Our Holiday meals most often include this amazing Barbecued Chicken made by my Dad. I’m grateful for this day and so much more. God Bless us ALL. 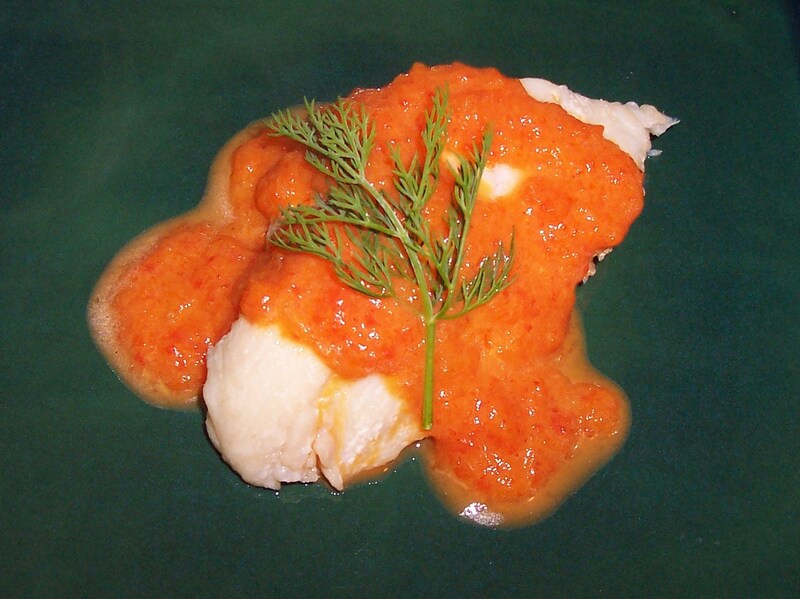 The Chicken and its accompanying Sauce RECIPE was previously posted on Nibbles of Tidbits and is linked below. It’s all about the Sauce — So simple, yet so good. The recipe has been in the family for more than 60 years. Enjoy! 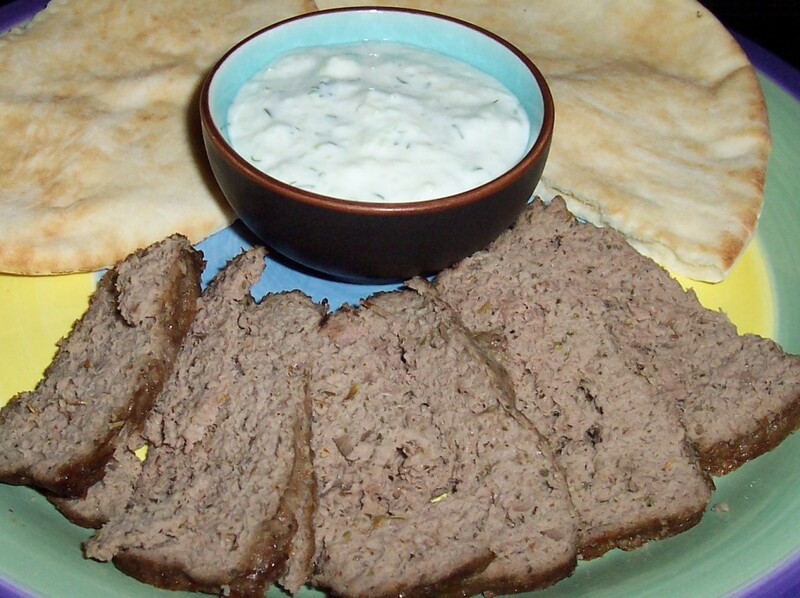 Homemade Gyro Meat and Tzatziki Sauce. WOW. 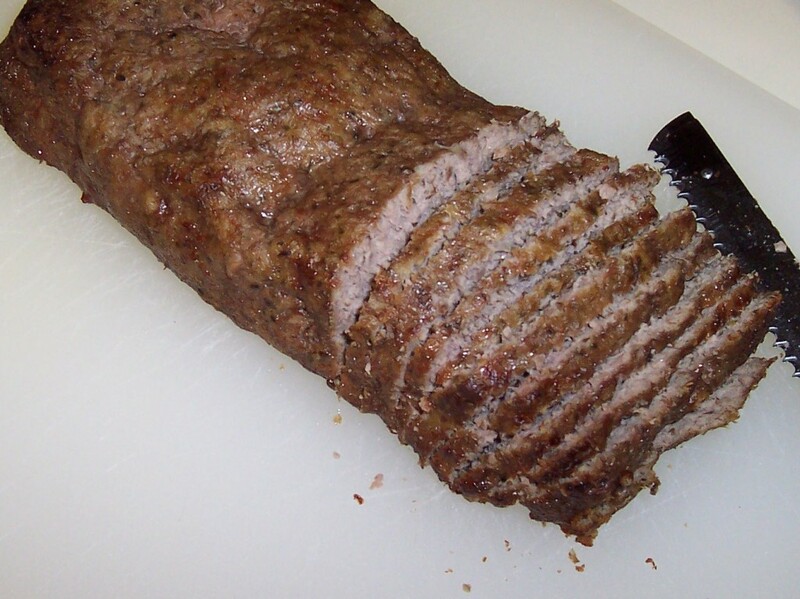 I finally made my own Gyro Meat and it turned out terrific. I captured the flavor and consistency without a rotisserie. 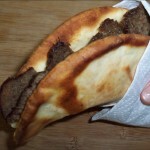 I researched several Gyro Meat recipes online to arrive at this perfect combination of a few. 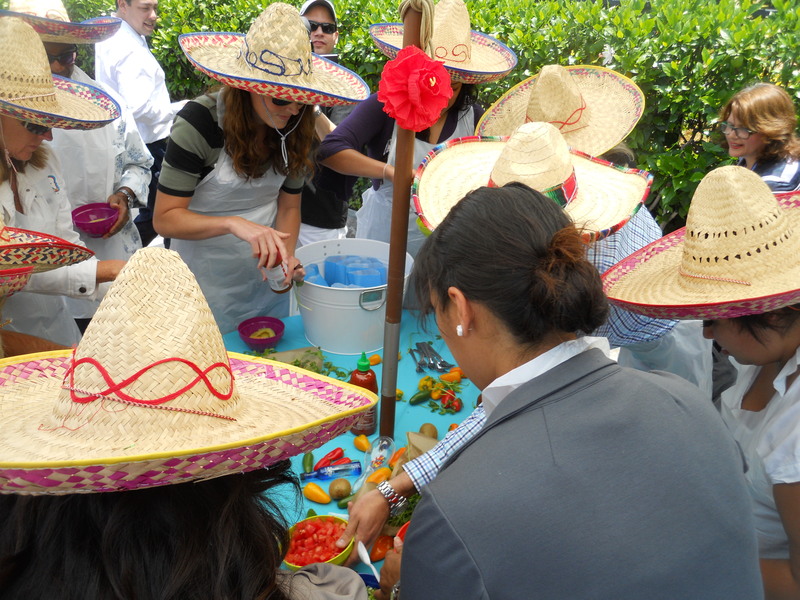 And the preparation is relatively easy for the authentic tasting results. 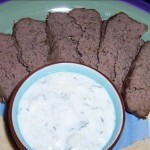 The short RECIPE goes like this — Mix all ingredients together, puree, form into loaf, bake on a rack, let rest and slice thinly — EAT with Tzatziki. If that doesn’t tell you everything, the step by step photos and ingredients are shown below. 1.) 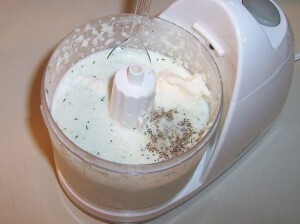 Combine and mix ALL ingredients together, then place in a food processor and puree until a paste consistency (1 – 2 Minutes). 2.) 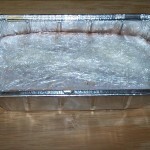 Scoop mixture out of the food processor and into a plastic wrap lined loaf pan. 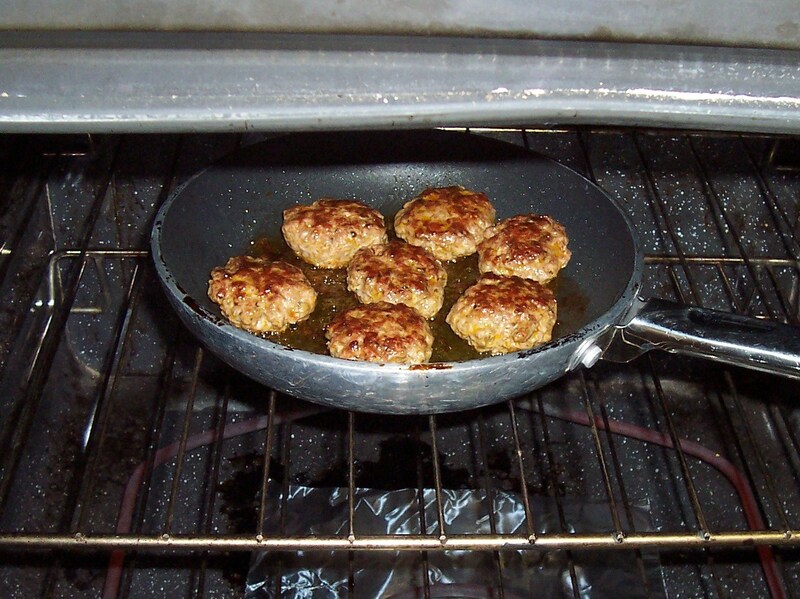 Press firmly into the pan to close all air pockets in the meat. 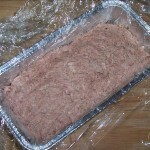 Tightly wrap the plastic around the meat and let chill overnight (or several hours) in the fridge. 3.) 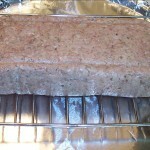 Remove formed Gyro Meat from the loaf pan and plastic wrap and place on a rack on a foil lined cookie sheet — This allows all sides of the meat to cook and the fat to run off. 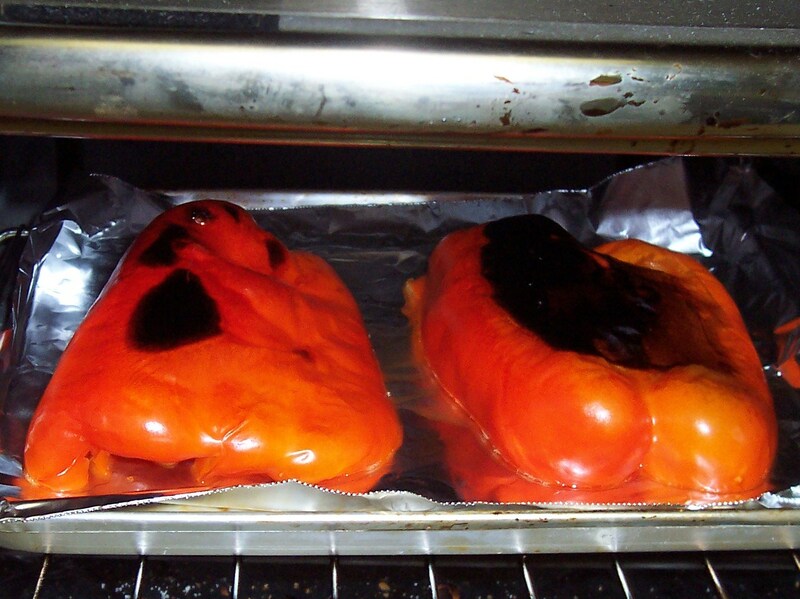 Bake in the oven at 325° for 1 Hour. 4.) After baking, remove from the oven, cover and let rest for about 10 minutes, then thinly slice for a Gyro Sandwich or alone with Tzatziki Sauce. 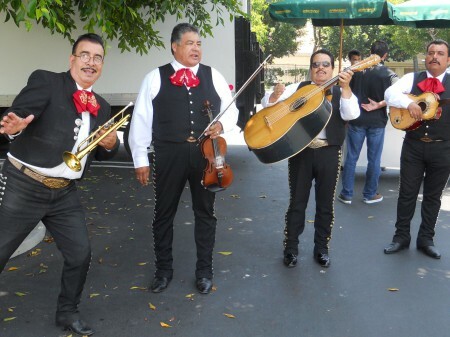 The photographs note the progression from (L – R) downward. 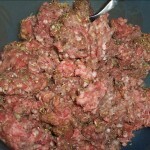 Mix all ingredient together and chill in the fridge for at least an hour, or overnight while the Gyro Meat mixture is doing the same. 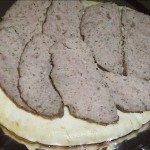 For LEFTOVERS, when the Gyro Meat is cold and easier to slice thin, I cut a few slices, lay them on a Pita or Flat Bread, drizzle a little Olive Oil around the edges, then cook it in the toaster oven. All you have to do is fold and eat. It turns out great. 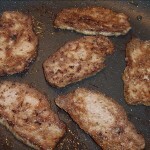 Or I’ll cook the sliced Gyro Meat in a skillet with/without a little Olive Oil. 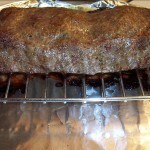 It’s fun to have the meat on hand for quick lunches and dinners throughout the week. 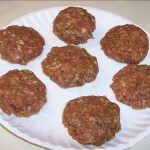 NOTE: This Gyro Meat Recipe makes a fair amount for two, but the ingredients can easily be doubled to serve more. 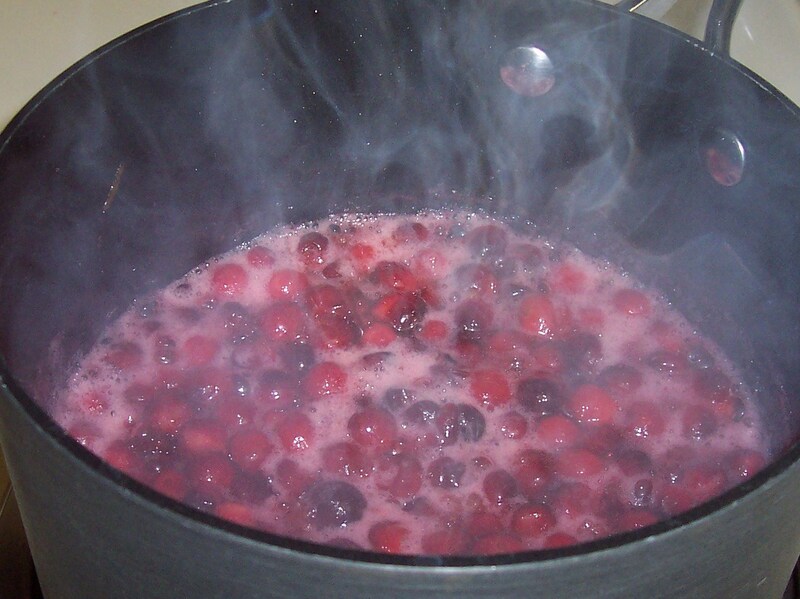 Cranberry Sauce After The Holidays. 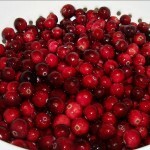 I like fresh Cranberry Sauce all year long. It’s easy to make and a great side dish to have on hand. It goes well with Pork, Chicken, Ice Cream, Sandwiches, and much more. Why ever eat Cranberry Sauce out of a can when all you need to do is boil Cranberries in a mixture of half Sugar and Water for about 10 minutes?! 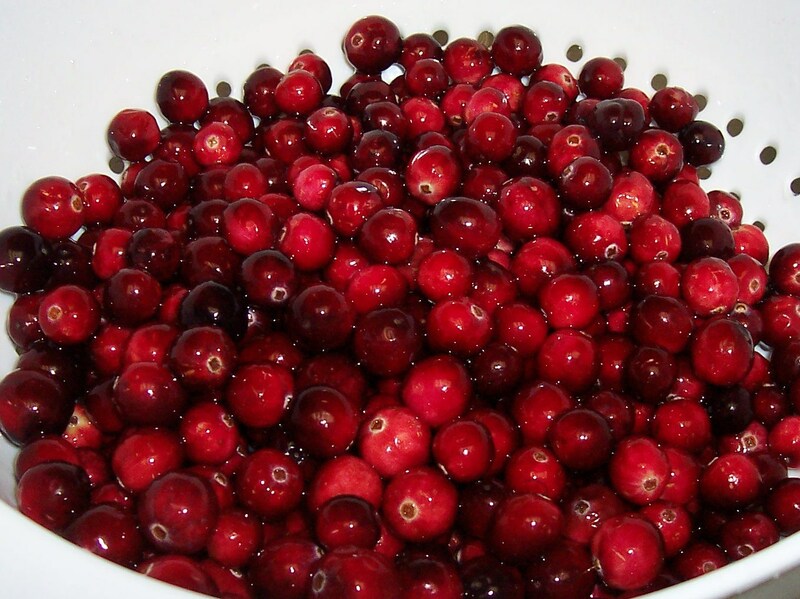 One Bag of Cranberries calls for 1 Cup of Sugar & 1 Cup of Water. I also like to add Orange Zest and Juice. It really makes a tasty Cranberry Sauce. 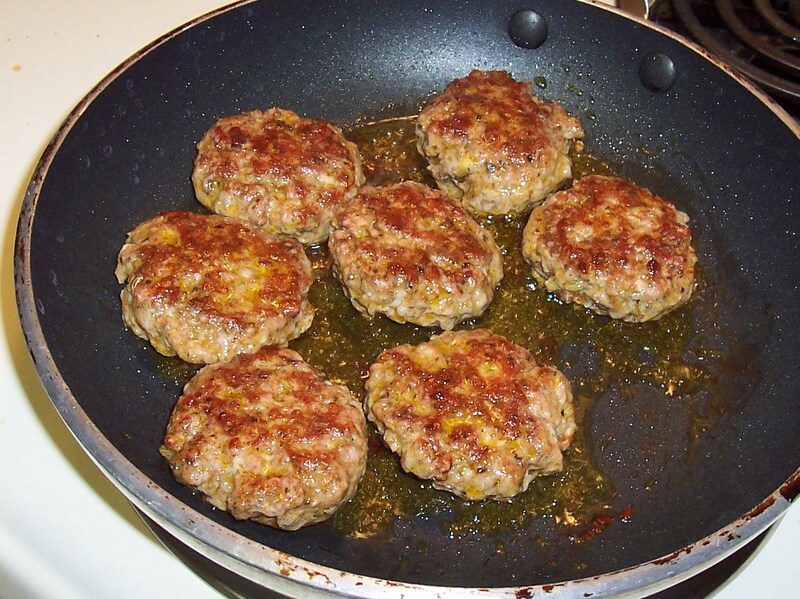 Mix all ingredients into the Pork, then form into patties. 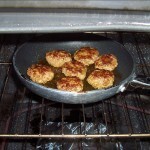 Brown the Sausage Patties in a skillet, then finish cooking them in the oven at 450° for another 15 minutes. 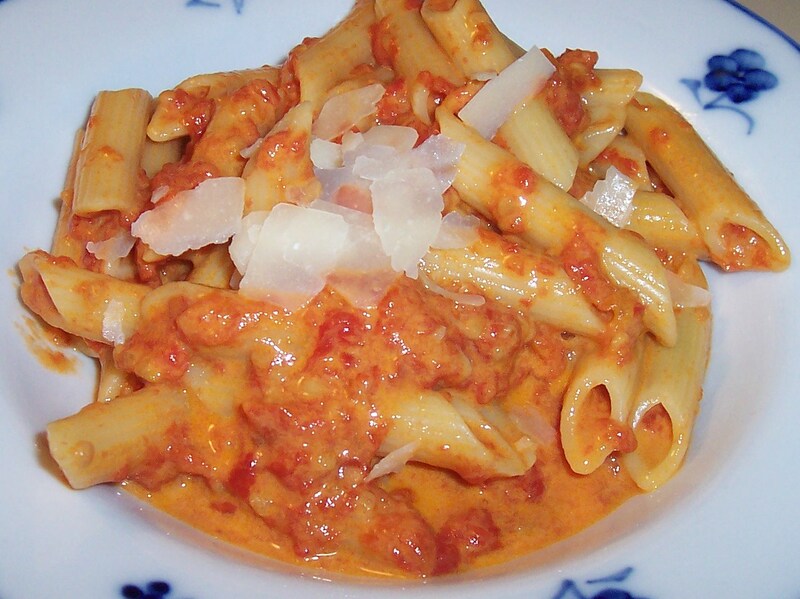 I made a quick Pasta Sauce with Crushed Tomatoes, 4 pressed Garlic Cloves, Olive Oil, a Sprig of Rosemary and Salt. 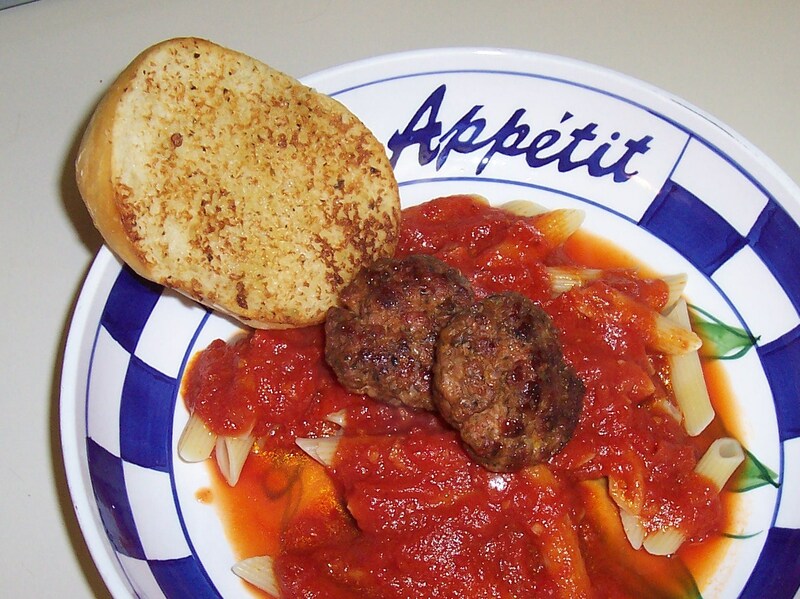 I then served the Sausage Patties over Penne Pasta and Sauce. 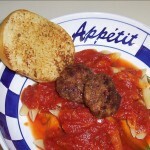 The Sausage had a good flavor, but made me yearn for the lightness of a great Meatball. I learned that I’d rather put the effort into that, but had to try this. I learned how to make this fabulous Cocktail Sauce from a Waiter, while having Oysters in Amsterdam. I wish I was there right now. It was about eight years ago and I’ve been making it ever since. 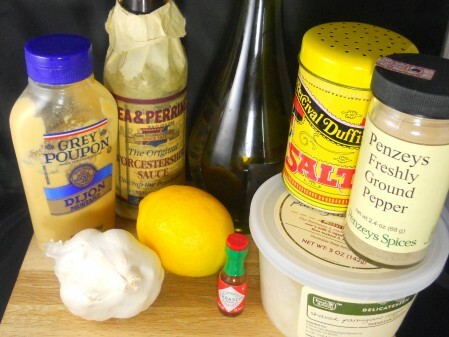 I never buy Cocktail Sauce because I always have the ingredients on hand, and homemade is always better. 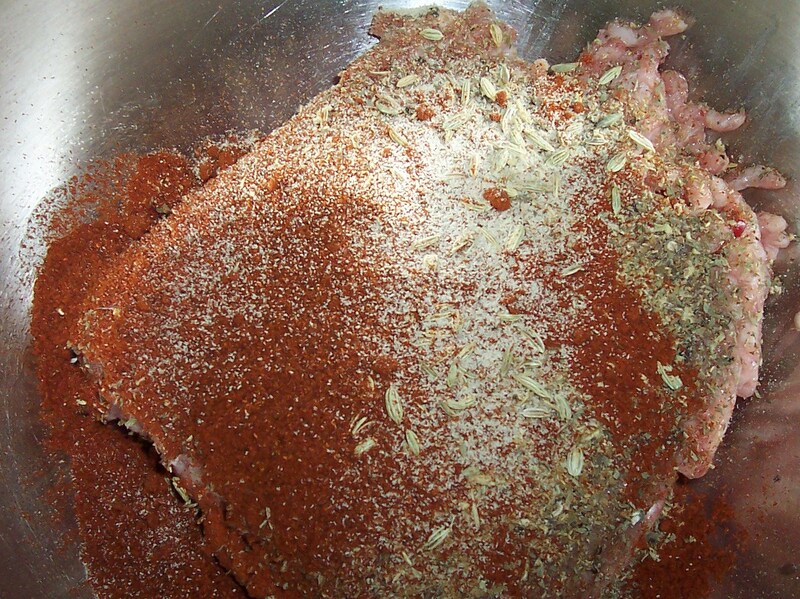 Mix all together to taste, more Horseradish if you like it spicy and less if you don’t — Then just add a little Cream. It’s so simple and good — Just 1, 2, 3. Mine is prepared a little on the spicy side. Enjoy. TJ’s Thai Joe’s Chicken Stix. It’s really hard to tell the difference between this one, Thai Joe’s Lemongrass Chicken Stix and Thai Joe’s Coconut Curry Chicken Stix. 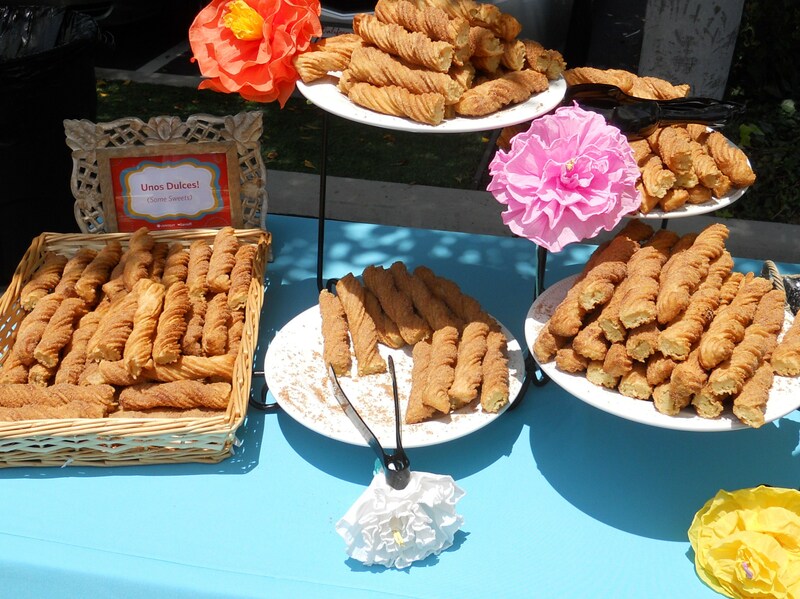 I like to call them Cigar Springrolls. Both are equally good and taste similar. It’s fun to do a taste comparison with friends — I did, and guesses were right and wrong regarding both. Unlike the picture on the box, they don’t come with Sauce, so I’ve posted the recipe for my favorite Springroll Dipping Sauce. 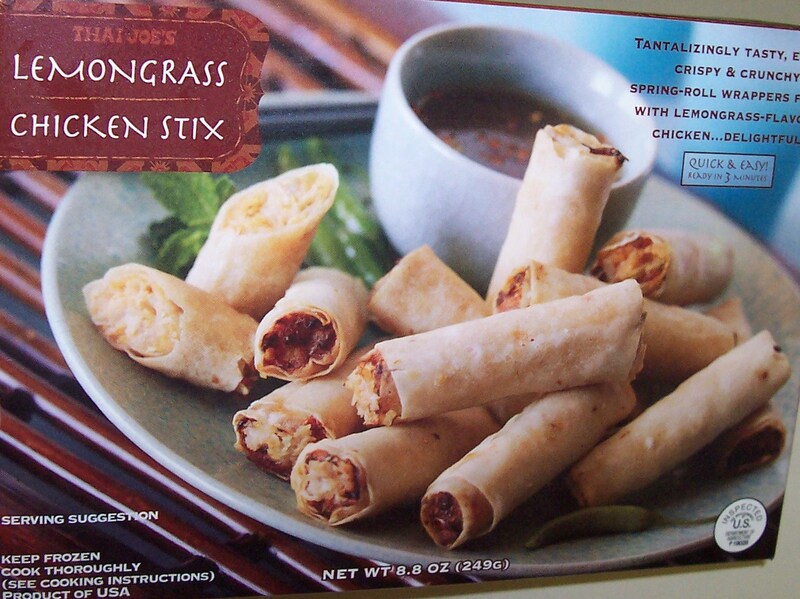 It’s enough for two boxes of these Springrolls. Double the recipe if making more. Each box holds 10 Chicken Stix. I cook them at 450° for 20 minutes, which is longer than the posted time. I find that (almost) all frozen food needs to be cooked longer than its recommended time. Do you find the same? I wonder if it’s done purposefully to make one think they’ll be eating faster than they actually will. Mix all together until Sugar is dissolved. 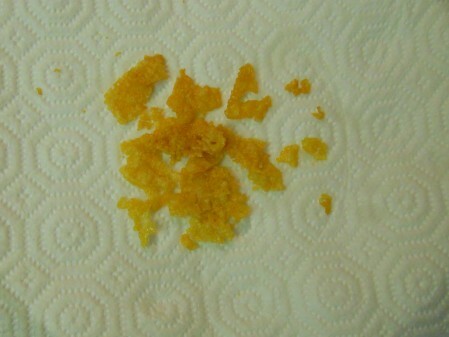 Serve with any crunchy Asian dish. It’s quick, easy and tasty. What I Did With That Sauce. I added a little Cream and Shaved Parmesan, then had it with Penne Pasta. 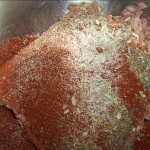 The Sauce is good without Cream too, but it does add a needed dimension of flavor if you don’t have fresh herbs. I think I’ll try it with Vodka next time. A serving without the Cream. I’m lucky. Four family members are growing Tomatoes this year and keep giving them to me. 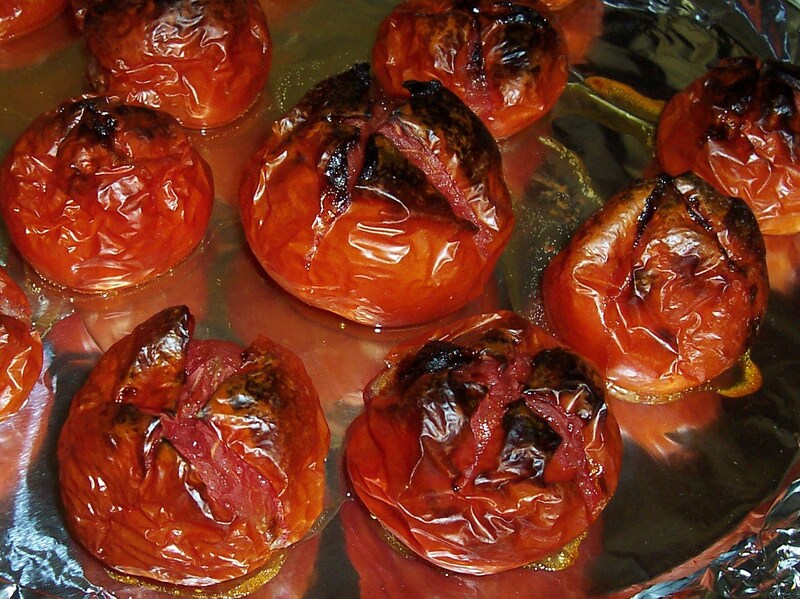 This time I scored and broiled a batch in the oven, then peeled and chopped all to make a Sauce for use tomorrow. With what? You’ll see someday. With recent Tomato uncertainty, these gifts have been a commodity.